The Vodafone Flying Fijians to play the Italians on Saturday has been released by the Fiji Rugby Union. 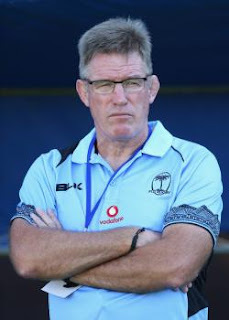 Vodafone Flying Fijians Coach, John McKee has retained most of the players from last Saturday’s match against the Wallabies, with a few changes to the team. McKee said that he had selected a very strong team with a good mix of experienced and new players. He added that the Italians would present a different challenge to the one they faced against the Wallabies. “Italy will present a very different challenge to Australia and we expect them to come at us through their forwards to put us on the back foot and starve us of ball. We will have to be up for the physical challenge to be successful in this match”. Peni Ravai, Tuapati Talemaitoga, Kalivati Tawake, Apisalome Ratuniyarawa, Leone Nakarawa, Dominiko Waqaniburotu, Akapusi Qera (captain), Nemani Nagusa, Serupepeli Vularika, Ben Volavola, Vereniki Goneva, Eroni Vasiteri, Jale Vatubua, Timoci Nagusa, Kini Murimurivalu, Jale Sassen, Joeli Veitayaki, Manasa Saulo, Tevita Cavubati, Viliame Mata, Mosese Voka, Nikola Matawalu, Benito Masilevu.